As a result of a worldwide growing demand for cocoa products and a constrained supply – there is an anticipated deficit in cocoa production over the next 5 to 10 years. Global demand for chocolate and cocoa based products is rising due to higher incomes, urbanization, a growing middle class and an increase in consumption in emerging markets. The company has developed a global deal flow of projects, encompassing a diverse portfolio of investment opportunities. In each project location, the company has a strong presence and familiarity with the political forces, local culture, and regulatory environment. In the highest-producing countries, cocoa productivity is hurt by inefficiency, disease, ageing trees, and lack of best practices. There is an acute need for innovative agronomic methods and technologies to secure high-yield and premium quality.  Bean & Co will develop modern intensive plantations in order to improve yield, quality, and overall efficiency. Experienced staff: Bean & Co’s team of experts have more than three decades of global agriculture development and management experience. The team’s experience includes hundreds of millions of dollars’ worth of successfully realized projects, strong networks and relationships on the ground, and industry-leading expertise in tropical agronomy.